The American-born Walker made his first recording under his birth name, Scott Engel, when he was 13. He worked as a session musician in Los Angeles and eventually formed the trio the Walker Brothers with John Walker and Gary Leeds, changing his name to fit Walker’s already established stage name. 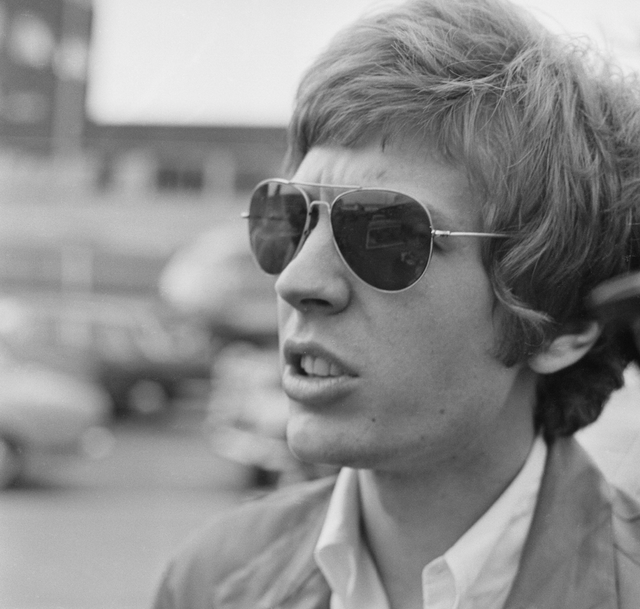 The group found fame as mop-topped teen idols in the mid-’60s, coming to prominence two #1 UK singles, “The Sun Ain’t Gonna Shine Any More” and Burt Bacharach’s “Make It Easy on Yourself.” Scott Walker retained his stage name after an initial dissolution of the Walker Brothers in 1967, recording four solo albums numbered Scott through Scott 4. The albums evidenced a new and experimental art-pop direction for Walker, being initially based around American translations of songs by French singer-songwriter Jacques Brel and eventually coming to include more and more of Walker’s own compositions, complete with elaborate, modernist orchestral arrangements. Scott 4 was comprised entirely of Walker’s songs, and was his biggest commercial failure. In the early 1970s, Walker released a series of contractual-obligation albums moving away from the avant-pop style he had been developing on the Scott albums, with only 1970’s ‘Til The Band Comes In featuring any of his own songwriting or vestiges of the style. He moved to a new creative vanguard with the release of the influential 1978 Walker Brothers album Nite Flights, on which he wrote the first four songs, which coupled an edgier experimental rock sound with daring orchestrations and unusual song structures. David Bowie later covered the title track, paying tribute to Walker as an influence. In 1984, Walker made a return to solo recording with Climate of Hunter, a pronouncedly avant-garde album which followed in the vein of the work he had done on the Walker Brothers tracks “Shut Out” and “The Electrician” and set the template for the rest of his career. Walker abandoned plans for a followup record and touring following the album, and did not release another record until Tilt in 1995. Tilt almost entirely eschewed recognizable pop structures altogether in favor more narratively driven constructions, featuring obscure historical themes, reference to film and theater, unusual instrumentation (including self-built instruments and found percussion) which demonstrated the influence of industrial music. Another 11 years later, following menial output including a score to Leos Carax’s controverial 1999 film Pola X, Walker released The Drift, his darkest and most challenging album yet, which focused on themes surrounding war, death, torture, and fascism. Walker went onto release the instrumental dance score And Who Shall Go to the Ball? And What Shall Go to the Ball? the following year, and returned with another full concept album, Bish Bosch, in 2012. A full-length collaboration with Sunn O))), Soused, came in 2014. Walker’s final releases were two scores for films by the young actor and director Brady Corbet, 2015’s The Childhood of a Leader and last year’s Vox Lux. Watch clips of some of Walker’s defining work below.